Find the latest cryptocurrency news, updates, values, prices, and more related to bitcoin, Etherium, Litecoin, Zcash, Dash, Ripple and other cryptocurrencies with Yahoo Finance's crypto topic page. After calling bitcoin's decline in 2018, technical trader Peter Brandt is forecasting new highs for bitcoin over the next two years. Bermuda has a population of just 70,000 people. But it’s looking to become a major destination for cryptocurrency businesses. The price of bitcoin surged 17% on Tuesday morning and briefly touched $5,000, its highest price since November 2018. Say hello to JPM Coin, the first cryptocurrency from a major U.S. bank. CoinList CEO Andy Bromberg says the crypto market will be quiet this year, with people heads-down, focusing on building products. After a brutal year for crypto, Ripple and Stellar cofounder Jed McCaleb predicts what will happen next. After nailing bitcoin’s precipitous 84% fall in 2018, technical analyst Peter Brandt sees a different story in 2019. Square made just $500,000 from bitcoin last quarter—but analysts say the direct financial gain wasn't the point. Bitcoin's price peaked and then popped a year ago. The believers continue to believe, arguing that prices don't matter. But that's denying reality. Yahoo Finance's LIVE market coverage and analysis of what you need to watch in the stock market begins each day at 9:00 a.m. ET. 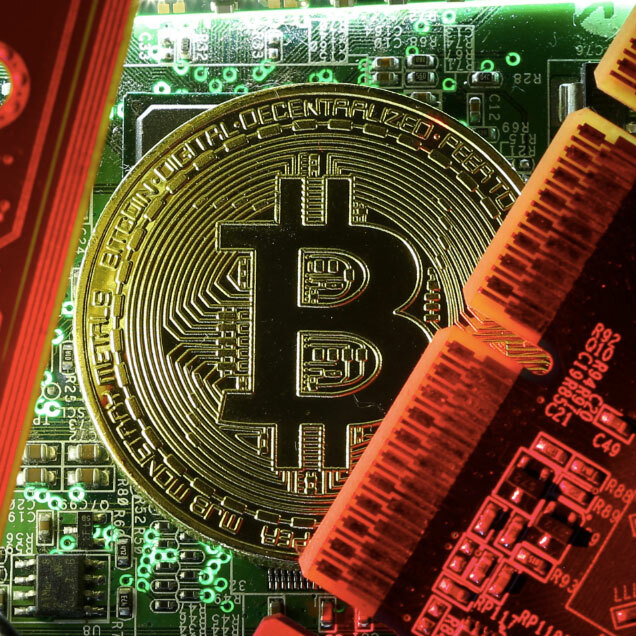 Even amid this crypto bear market, bitcoin hardware wallet sales are humming, according to one of the leading hardware wallet sellers. The SEC crackdown on initial coin offerings includes targeting celebrities who promoted ICOs on social media for money. SEC Chairman Jay Clayton reiterated that the SEC does not view bitcoin as a security, and he candidly explained why. Despite suffering its third-largest loss in history, bitcoin might have further to fall before a catalyst can turn things around. Stocks climbed after Friday’s equity rout capped off an abbreviated week of wobbly trading. Stock futures pointed to a sharply lower open, showing no respite after Monday’s equity rout. In announcing settled cases against two ICOs, the SEC finally makes its crackdown clear. The Commerce Department will release October's retail sales data and Walmart and Nordstrom will report quarterly results. Stocks getting a litlle boost as America heads to the ballot box.